Guest post by Rich McIver, founder, MerchantNegotiators.com. In January of this year, Anthem, Inc. a managed care provider, learned of a cyber attack to their IT system. This attack, which occurred over several weeks beginning in December, 2014, compromised the identities over 80 million customers. 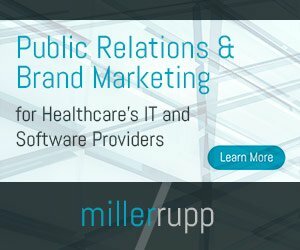 The breach, in which the healthcare information of millions were compromised, constitutes a serious HIPAA violation, exposing the provider to potentially devastating legal liability. Unfortunately, this sort of breach perpetrated against healthcare providers is becoming ever more common. The Ponemon Institute, along with ID Experts, issued a report in May this year that showcased healthcare data breaches. The Fifth Annual Benchmark Study on Privacy and Security of Healthcare Data calculates a 125 percent growth in healthcare cyber attacks over the past five years. Although employee negligence and lost or stolen devices still result in many data breaches, a shift is occurring from accidental loss to intentional targeting of data that reveals individuals’ names, Social Security numbers, and other personal information. The reason that healthcare providers are being targeted is that the information they maintain to provide care for their patients is often substantial enough that cyber criminals can use the data from a single healthcare provider to engage in identity theft. Moreover, cyber criminals target healthcare data because they recognize that many healthcare facilities, including insurance companies, don’t have the resources or technologies to prevent or to detect attacks. Anthem is a large corporate entity that can afford and use the technology required to protect HIPAA sensitive data, and yet the breach still occurred. What can other healthcare businesses do to prevent or detect a cyber attack on HIPAA sensitive data?